How does Marley Spoon work? Each week Marley Spoon has several different meals that you can select from. They have a huge archive of recipes… over 18,000!Â Each week there are ten different meals you get to select from. They really do have a wonderful variety of meals and they all look and sound so amazing it is kind of difficult to narrow it down. I want it all! 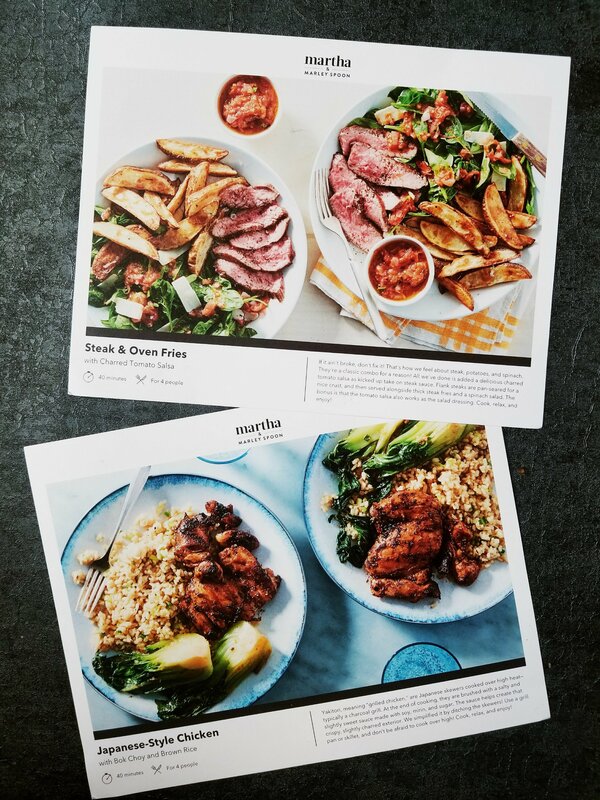 You can choose the meal kit that suits your family needs. They offer boxes for two people and they also offer boxes that can feed 3-4 people. You can choose to get 2, 3, or 4 Marley Spoon meals per week. It is entirely up to you and you get to customize your plan. Each week Marley Spoon offers an exciting menu featuring a variety of meats and a large selection of different vegetables. There are meals suitable for dinner as well as lunch. Marley Spoon also has meals to suit a variety of dietary lifestyles. I choose to eat gluten-free so I received two meal kits that were friendly to my diet. There are some quick dinners provided, one-pot meals, kid-friendly meals, and salad options.